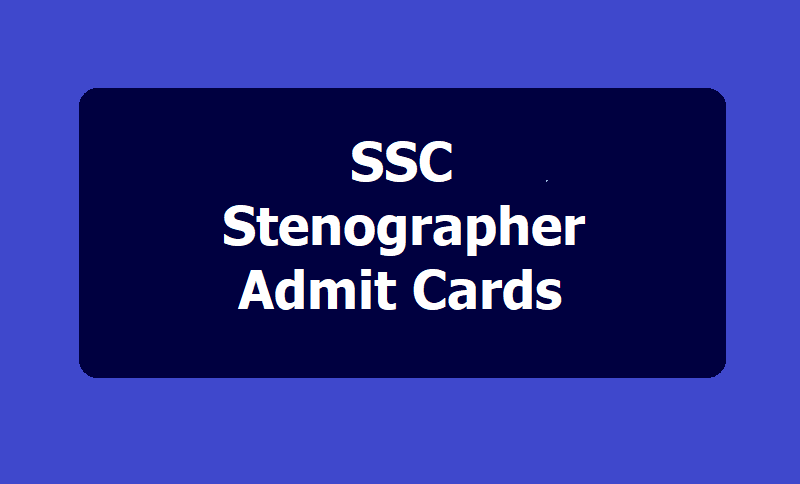 SSC Stenographer Admit Cards 2019 download: Staff Selection Commission has released the SSC admit card for the exam for Stenographer Grade C & D recruitment, 2018. The Staff Selection Commission (SSC) will conduct the Stenographer Grade C & D recruitment exam, 2018 from February 5 to 7, 2019. The SSC admit cards have been released on the official websites of the regional SSC offices. The direct links of the SSC regional offices have been given here in this report. A link for the SSC Stenographer admit card can also be found on the official website of the Commission, ssc.nic.in. Step 1 : Go to the official website for any of the regional SSC websites. Step 2 : Click on the admit card link for your applicable category, i.e. Graduation posts/HS posts/ Matric posts. Step 3 : Enter you registration number/ roll number/ name, and date of birth correctly. Step 4 : submit and download your admit card.